Boao Forum for Asia (BFA) is a nongovernmental and nonprofit international organization with a fixed conference date and a fixed domicile. Proposed in 1998 by Fidel V. Ramos, former President of the Philippines, Bob Hawke, former Prime Minister of Australia, and Morihiro Hosokawa, former Prime Minister of Japan, BFA was formally inaugurated on February 27 2001. Boao, Hainan Province, China serves as the permanent site of BFA Headquarters. Since 2002, BFA has been holding its annual conference at Boao. BFA has won great support from Asian countries and drawn extensive attention of the whole world. 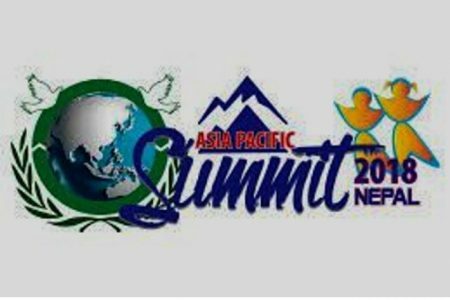 Now, it has become a high-end platform for dialogs among leaders of national governments, industrial and business circles, and academic circles of countries in Asia and other continents about the important issues in Asia and even the whole world. BFA is dedicated to promoting Asian countries to achieve common development through further integration of regional economy. The purpose of BFA is to base itself on Asia and promote and deepen the economic exchange, coordination, and cooperation within Asia and between Asia and other parts of the world. It also aims to offer a high-end dialog platform for governments, enterprises, experts, and scholars to jointly discuss economy, society, and environment and other relevant issues. Through its working network with the political, business, and academic circles, BFA will serve the ever-growing economic cooperation among its members and between its members and other entities. Since 1950s, through their own efforts, Asian countries have made remarkable achievements in their economic and social development and their influence on international and regional affairs has been increasing steadily. During the past two to three decades, Asian economy as a whole has been developing rapidly. The economy of East Asia has been taking off, recognized by the world as East Asian Miracle, which has made it one of the areas with the greatest economic development vitality in the century. Although Asia suffered a heavy blow from the financial crisis at the end of the 20th century, its economy has been quickly recovered through self adjustment and reform. On account of the opening policy pursued by most Asian countries, the trade and investment links between them have been increasingly strengthened. Various forms of bilateral, regional, sub-regional, and trans-regional cooperation among them have been gradually unfolding. Their cooperation and exchange in industry and commerce, finance, science and technology, transportation, and culture keep on increasing. ASEAN and China, Japan, and South Korea (10+3) mechanism has entered a substantive stage. Sub-regional cooperation represented by ASEAN economic integration, great Mekong economic cooperation, and South Asia Association for Regional Cooperation is underway. Trans-regional cooperation represented by Asia-Pacific Economic Cooperation (APEC), Asia-Europe Meeting (ASEM), and East Asia – Latin America Forum (EALAF) is also forging ahead. It can be predicted that the prospects of Asian economic development and cooperation will be very bright. In the 21st century, economic globalization and regionalization continue to develop. With European economic integration picking up speed and North American Free Trade Area under further development, Asian countries have been faced with great opportunities as well as many severe challenges. This requires them to strengthen their cooperation with other parts of the world and enhance exchange and cooperation among themselves. In fact, it is now a common task for them to find a way to cope with the challenges brought about by globalization, to maintain the healthy economic growth of Asia, and to strengthen their coordination and cooperation. Although Asian countries have participated in many international conferences and organizations such as APEC and PECC, Asia as a whole lacks a forum that, led by Asians and guided from perspectives of Asian interests and views, can be dedicated to the discussion of Asian issues and aims at enhancing cooperation and exchanges among Asian countries, and between Asian countries and other parts of the world. Against this backdrop, in September 1998, former Filipino President Fidel V. Ramos, former Australian Prime Minister Bob Hawke, and former Japanese Prime Minister Morihiro Hosokawa proposed the establishment of an Asian Forum, one similar to the World Economic Forum headquartered in Davos. The idea of “Asian Forum”, once being put forward, was unanimous accepted by the related Asian countries. On October 8 1999, Vice Chinese President Hu Jintao met in Beijing with Fidel V. Ramos and Bob Hawke, who came to China especially for the Asian Forum. After the briefing by the initiators of the conceived forum, Hu Jintao said that the Chinese Government always supports and attaches importance to multi-level, multi-channel and multi-form regional cooperation and dialog. He regarded the establishment of the forum as conducive to promoting understanding, trust, and cooperation among the countries of the region. The Chinese government would study the idea prudently and positively and would provide all necessary support and cooperation. 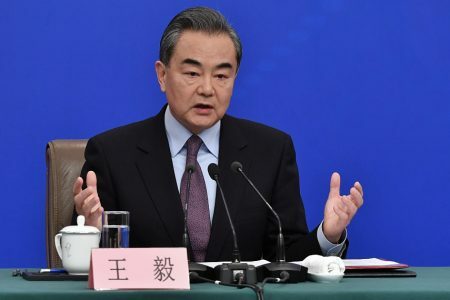 Meanwhile, Hu Jintao emphasized that since the recognition, understanding and support of the related governments were vital to the establishment of the forum, China would wish to get itself further acquainted with the responses of other countries on this issue. It was followed successively with positive responses from the governments of the related countries in Asia. Against this backdrop, the Inauguration Ceremony of BFA was held Feb. 26-27 2001 in Boao, Hainan Province, China. Former leaders of 26 countries, including Fidel V. Ramos, former President of the Philippines, Bob Hawke, former Prime Minister of Australia, Yasuhiro Nakasone, former Prime Minister of Japan, Sergey Terechshenko, former Prime Minister of Kazakhstan, and PunsalmaaOchirbat, former President of Mongolia, attended the Ceremony. Chinese President Jiang Zemin, Malaysian Prime Minister Dr Mahathir bin Mohammad, , the late King of Nepal H.M. BirendraBirBikram Shah Dev, and Vietnamese Vice Prime Minister Mr. Nguyen Manh Cam, also graced the occasion as the Guests of Honor by addressing the Ceremony. BFA was officially launched at the Ceremony. Declaration of BFA and Guidelines of BFA Charter were adopted during the Ceremony. The Inauguration was a great success and gained extensive concern from the international community. Headquartering BFA at Boao, Hainan Province, China was the proposal put forward to Chinese leaders by former leaders of some Asian regions. They held that Hainan, China’s largest special economic zone, was an experimental area for China to deepen its connection with international community. Aiming to become an ecology-based province, Hainan has told the world that its current and future development focus has been on ecological industry, a field valued highly by Asian and international communities and meeting the world economic development trend. In addition, Boao is a comprehensive functional area specially designed for BFA and featuring ecology, leisure spending, tourism, intelligence, and conference and exhibition services, and a very agreeable natural geographical environment. In October 1999, when meeting with BFA initiators, Hu Jintao promised support and cooperation for the establishment of BFA. Hainan Provincial Government has offered actual support in many fields to the establishment of BFA and promised to continue providing efficient and high-quality services to the establishment and running of BFA.